Fun All Breed Horse Show begins Saturday June 23rd @ 9:00am. 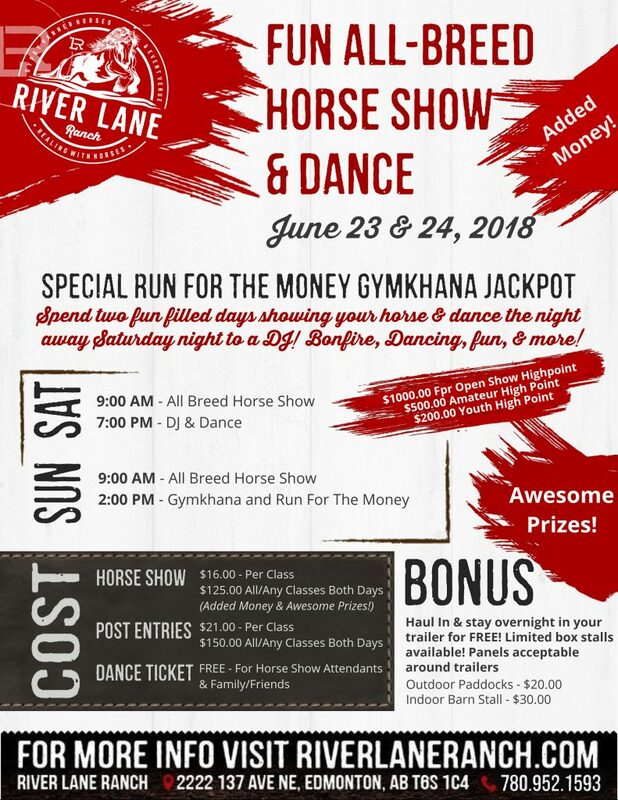 Spend the weekend showing your horse and then finish off with our added money Gymkhana Jackpot and win the grand prize of $1000.00 CASH! This is an all breed show with awesome prizes and added money! We want you to learn, have fun and be rewarded for your hard efforts! Spectators for horse show are welcome. Post Entries – $22 per class or $150.00 for all classes. Download the application form, then complete and email back to info@riverlaneranch.com.